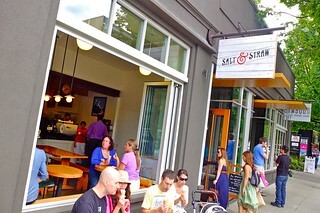 2 Days in Portland: Staying at Ace Hotel Portland, drinks at Stumptown Coffee Roasters, wandering Powell's City of Books, ice cream at Salt & Straw, and late night at Clyde Common from August 26 to 28, 2012. As best man, I was tasked to organize a fun bachelor party. Our small party of four (groom plus three groomsmen) drove down to PDX for a couple days of eating and drinking our way through the city. 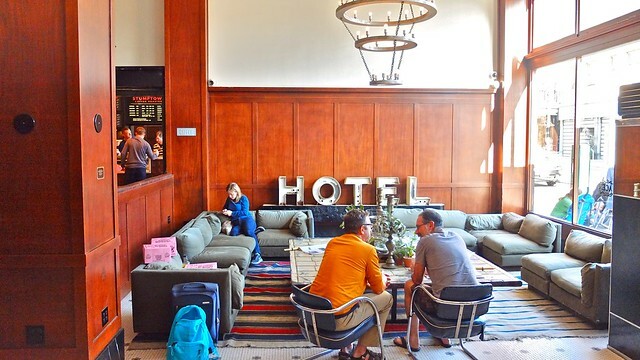 We stayed at the Ace Hotel for the hipster, simplistic, offbeat vibe. 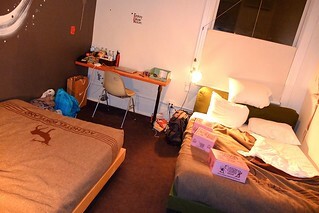 We had a small yet efficient room with two double beds and a sink with a sliding door to the toilet and shower. 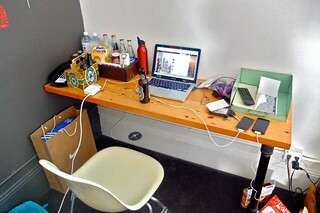 Everything was a little different like the old school keys (no keycards) and old fashioned decor. 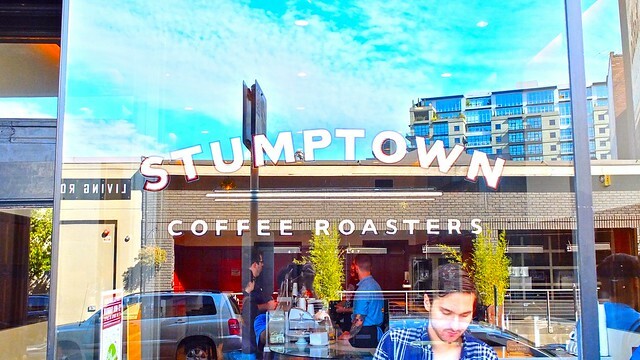 I loved having a Stumptown cafe attached to the hotel. It was a refreshing way to start the day. 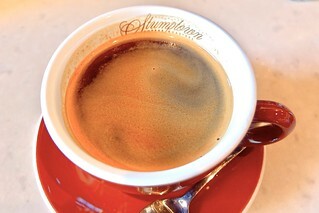 Their Americano (my default drink) is one of the best I've ever had. 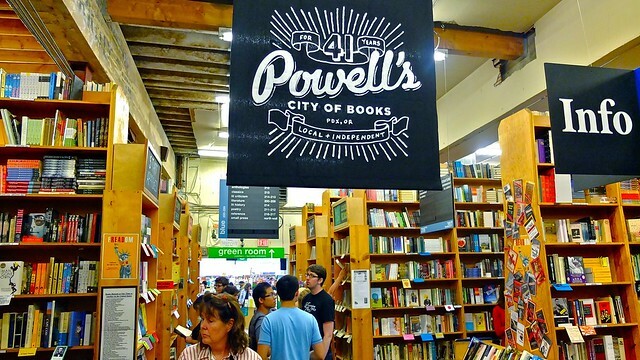 Portland's motto is "Keep Portland weird", and it shows with little differences. 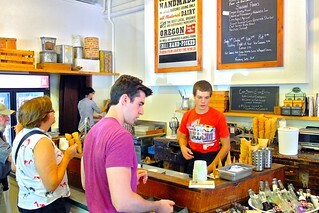 I never felt like I was in the United States with so many similarities to Vancouver and Canada. 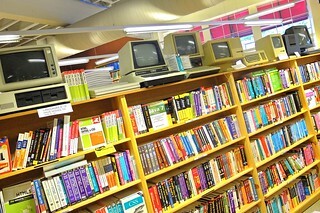 About a block away was the world famous new and used bookstore, literally a "City of Books" encompassing a city block and multiple locations and rooms for every subject available featuring rare new and used books. 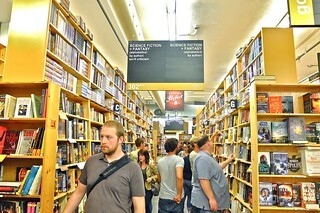 You could easily spend days in Powell's, wandering the halls. 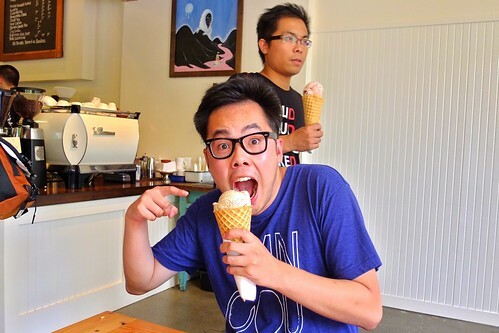 I made our crew trek the twenty or so blocks from Ace to try some delicious Salt & Straw (at Colene's insisstence) and it was well worth it. 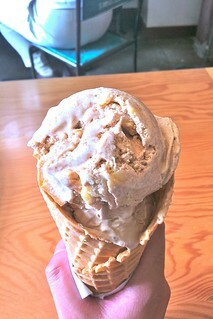 I had the cinnamon snickerdoodle flavoured ice cream and it was insanely good. It's right up there with the best ice cream I've ever had. 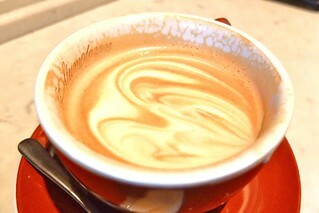 Their coffee and bourbon and sea salt with caramel ribbons flavours were also quite tasty. 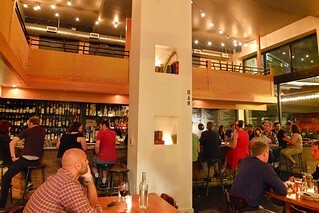 We hit up Clyde Common (Ace Hotel's downstairs restaurant and bar) on our last night for a night cap and nibble off their late night menu. They a decent, stripped down discount menu of goodies. 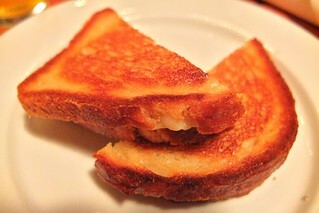 I had a pale ale and cheddar grilled cheese for a few bones. It satisfied our late night musings. Portland is such a fun, interesting city. It was a great trip. Look out for more about it.